and marked the 50th Anniversary of Christian missionary work in Lahaina. The tree was imported from India and was only 8 feet tall. It now stands over 60 feet high and has 12 major trunks in addition to a huge core. It stretches over a 200 foot area and shades 2/3 of an acre. Amazing story about the tree and lovely poem about it! The image is great!Hello, Happy New Year!Today I want to introduce you to a flexible poetry forum, it is Jingle Poetry Monday Potluck, you link in a poem related to our theme (Week 17 Theme is The Road Ahead), or 1 to 3 poems that are old or unrelated to our theme, enjoy some traffic and encouragement…if you wish to fit in our community better, you feel free to visit and comment as many entries as you wish from our collection, how cool it is? !Please check us out at http://jinglepoetry.blogspot.com/Let me know if you have questions..We are open Sunday, 8pm until Wednesday, 8pm, American Central time..Sign in with your yahoo or Google email to follow our blog so that you know our updates if you wish. We value your attention, hope to see you in. Thank you! tree carry emotions here, well done. 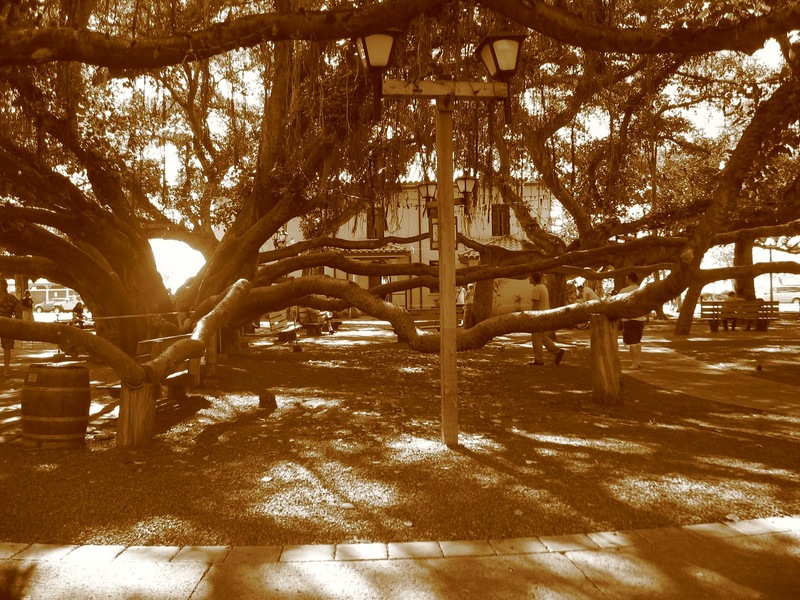 The banyan tree parable.Have you traded Oregon rain for Hawaiian shade?Blessings.